Research has shown that among felines, black cats are the best hunters. That's because their dark coats help them stay stealth as they stalk their prey! 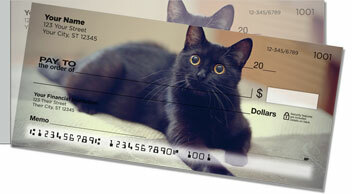 Now you can invoke the spirit of the silky black cat every time you write a personal check. It's easy when you choose Black Cat Side Tear Checks from CheckAdvantage. 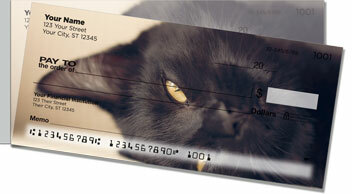 But stylized illustrations of prowling black cats isn't the only reason to love your new side-tear checks. You'll also appreciate the improved leverage you get with the short, left-side perforation. 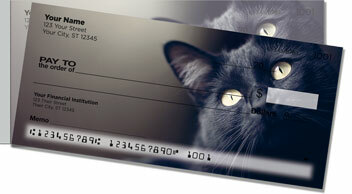 It makes for a trouble-free tear so your checks won't rip in the wrong place when you separate them from the pad. 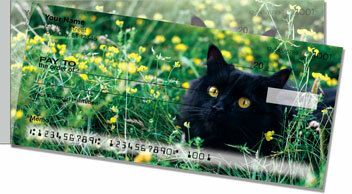 Order your very own Black Cat Side Tear Checks and matching address labels today!